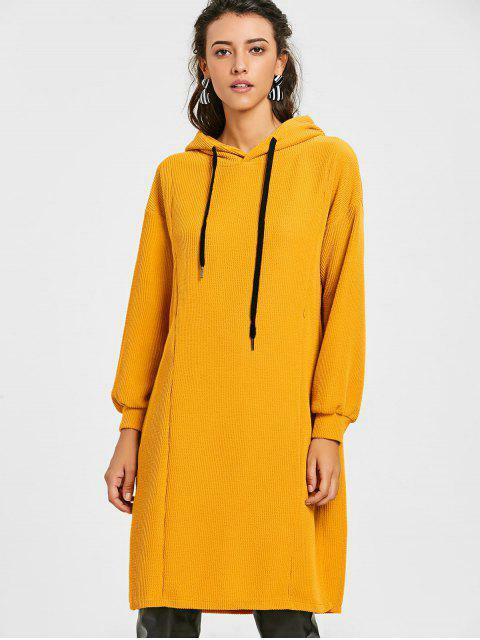 [58% OFF] 2019 Side Slit Longline Drawstring Hoodie In EARTHY | ZAFUL ..
Love it! I wear it a lot, I get a lot of compliments on it! I'm 172cms tall and XL fits me well, it's cozy and the sleeves long enough. The fabric is starting to fall apart after a few washes so that's why I can't give it 5 stars, but I'm leaving for Europe in a few days and I'm so taking it with me! Love the color. The slits are weird though, they don't make a lot of sense other than to access any pockets you might have in pants or anything under the hoodie. This extra long hoodie with drawstring detailing features solid color, side slit design with invisible zippers at two sides.